Woodberry Down is an innovative regeneration project in North London, the 30 storey Skyline Tower will form the centrepiece commanding breathtaking views across the London skyline. On behalf of Box and Charnock we protected the 152 luxury one, two and three bedroom apartments and penthouses with a BS:9251:2014 fire sprinkler system. We also supplied and installed the wet riser system with landing valves on each floor in accordance with BS 9990:2006. 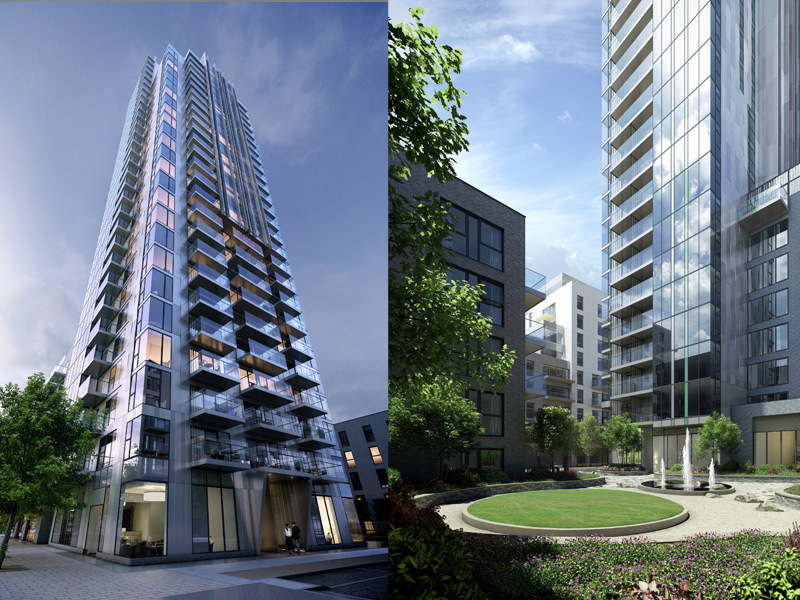 We have recently secured phase 2 of the Woodberry Down development and will be providing sprinkler protection and wet and dry rising mains to the three cores of Block F.